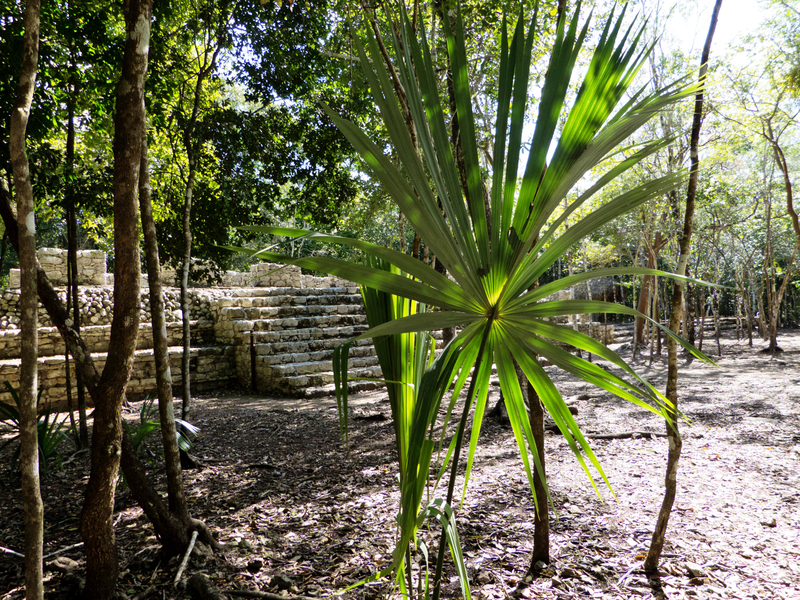 Imagine walking the same jungle paths as ancient Mayans living between 300 to 900 A.D.
Archeologists have estimated that 6,000 structures exist here at Coba, but only three settlements are for public viewing. 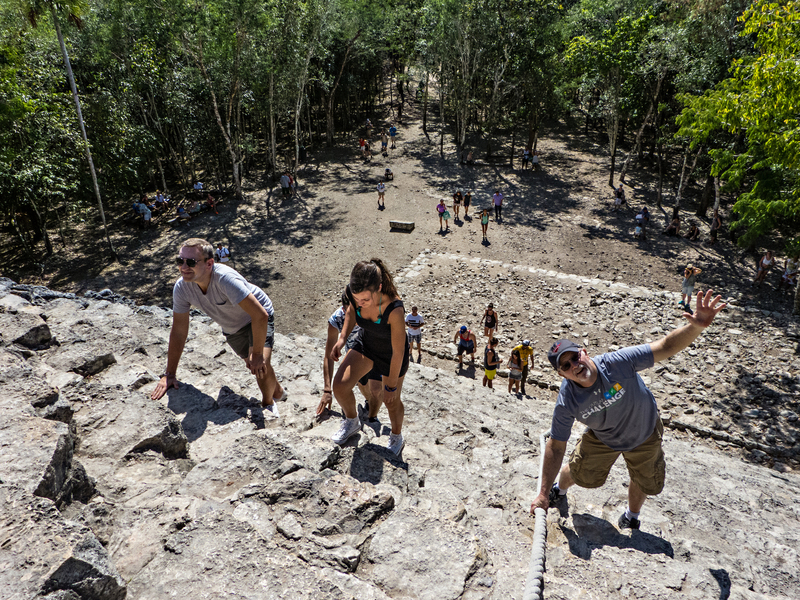 Coba is not a single site, but a large group of sites connected to the central pyramid, connected by over 16 Mayan ceremonial “white roads.” Don’t feel like walking? 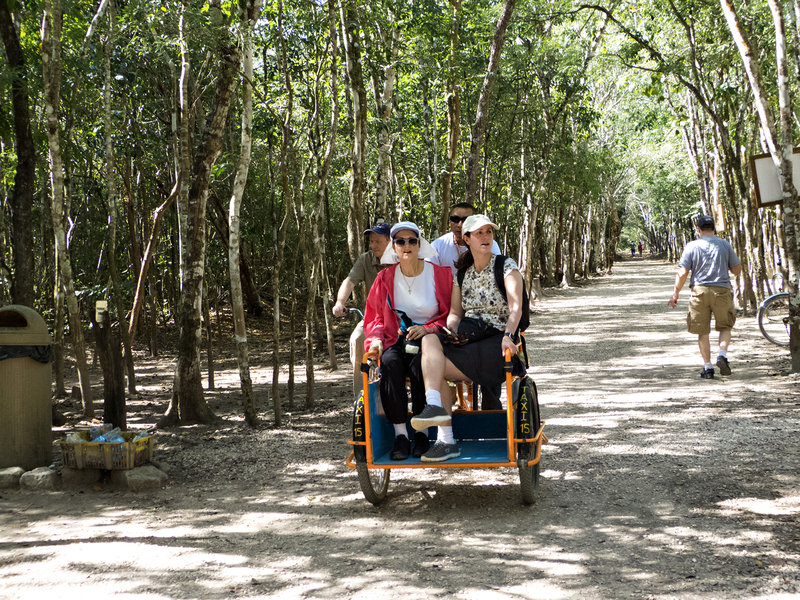 Take a Mayan Limo, which is a chauffeured tricycle, or rent a bicycle. Plan on 2 1/2 hours if you walk or 1 1/2 hours if opting for wheels. 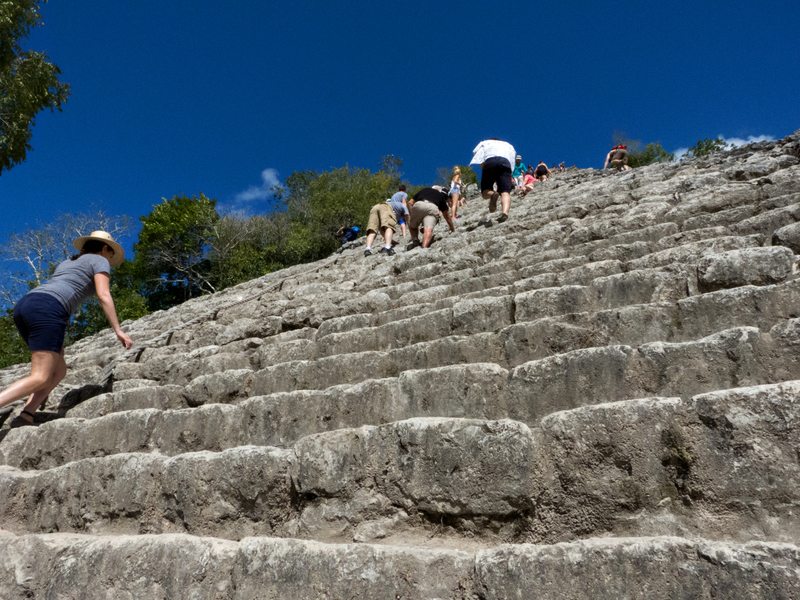 The largest pyramid at Coba is called Ixmoja, part of the Nohoch Mul group of buildings. 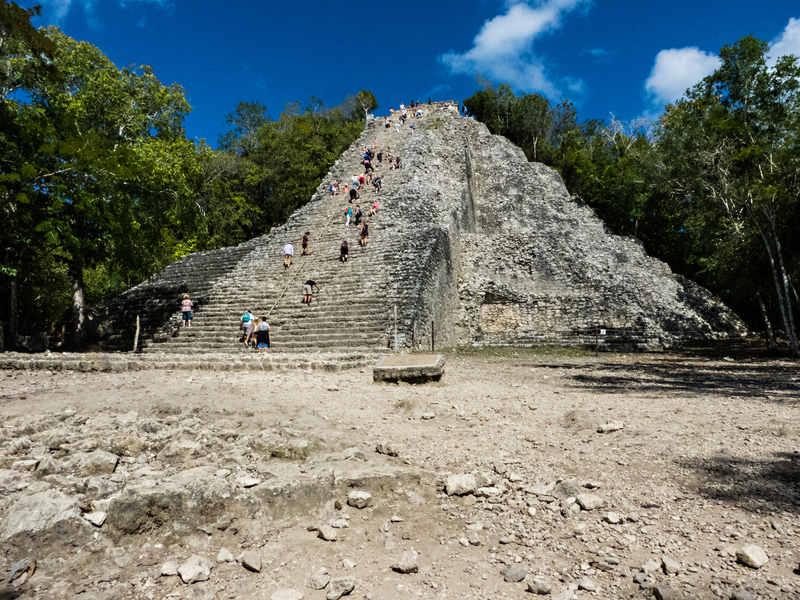 Unlike other Mayan ruins, you can still climb this one. I’m not fond of heights and this pyramid is 42 meters (138 feet) tall, but I need to do this so I have no regrets. 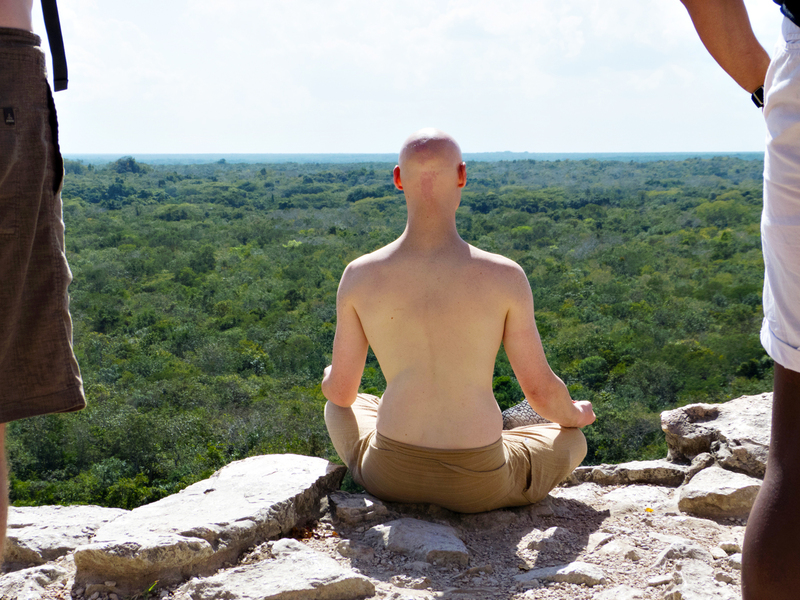 From the top the lush jungle looks like a green wilderness of wonder, but this gentleman meditating probably has his eyes shut. Good thing, since he is right at the edge. Not me!! 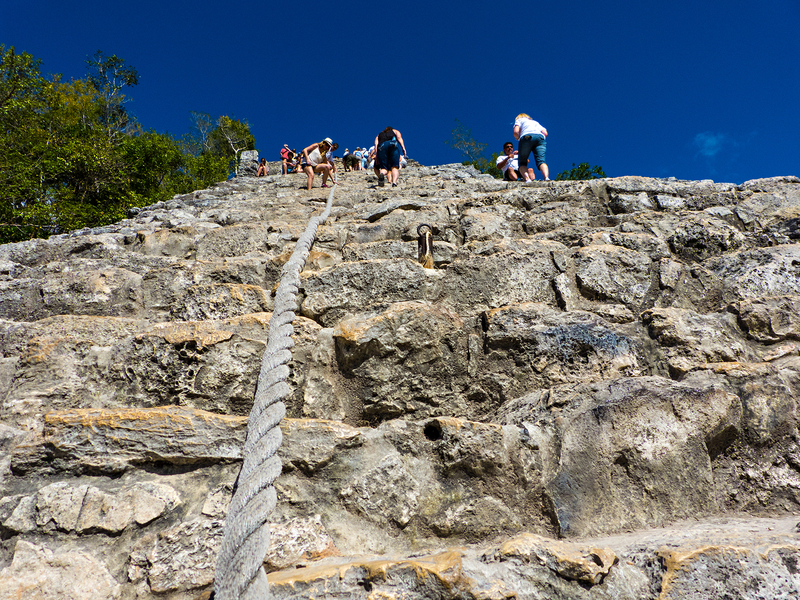 This thick rope is my best friend as I inch my way down the 120 stone steps of the pyramid finding the descent much more difficult than the ascent. As usual, souvenir shops are situated by the entrance/exit gate. 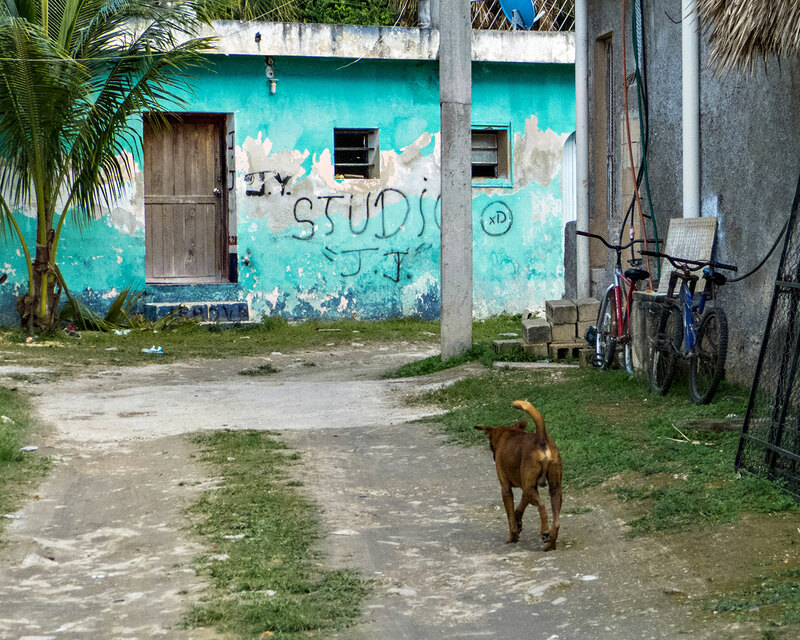 …and dogs wander the streets. 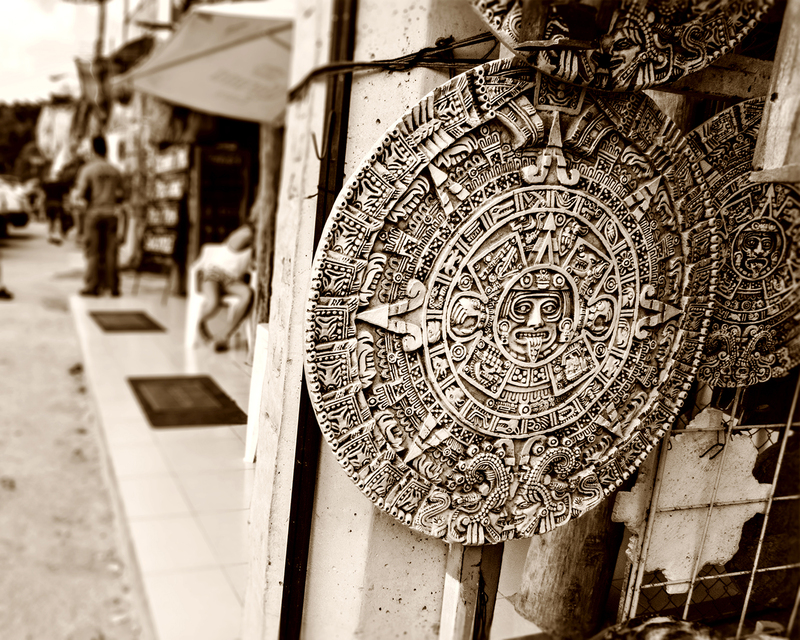 For more information about exploring Riviera Maya destinations check out locogringo.com. 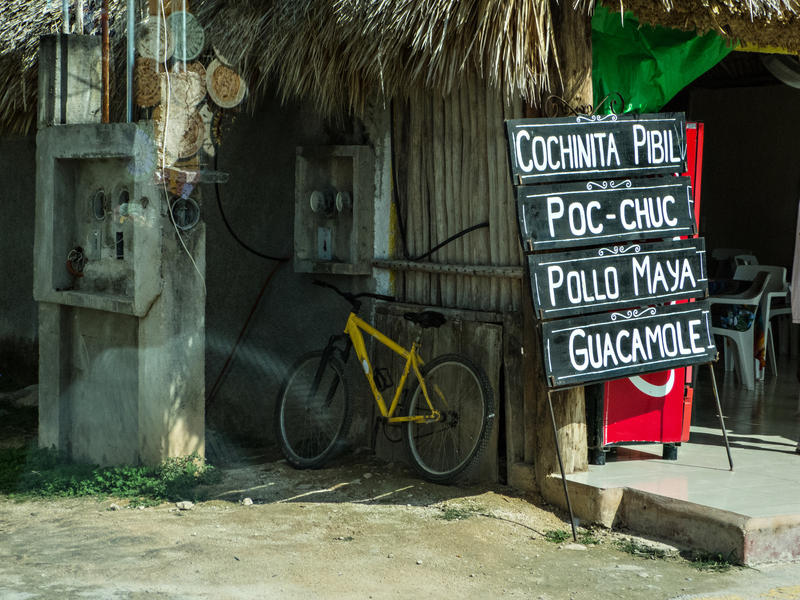 Here is a link to an interesting blog post I found within the locogringo.com site: 10 Ways to Save Money on Your Next Riviera Maya Vacation.